I hope you have enjoyed the series and if you missed any post, feel free to click above! This last of this series allows you to explore some PBL units. By searching through STEM subjects in these sites’ databases or directories you can come up with a PBL unit to use, remix, or possible implement a lesson from. I am always looking for new resources and invite you to send anything I should have included my way. Thanks for joing me on this PBL and STEM journey. I hope you can see that when mixed correctly you end up with the “How To” of the Common Core. Please enjoy the resources. I think you will find then STEMtastic! 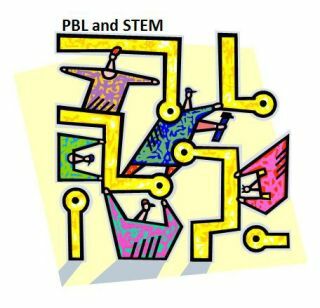 BIE Tools – PBL Project Search – Here you will find a collection of 450 proven lesson plans to set any PBL desire into action. Look at the database found on the right hand side of the page. West Virginia PBL Project Data Base – This is a wonderful site where teachers can search through the subjects of reading, language arts, math, science, social studies, dance, visual arts, theater, and music. You can select from grade two all the way through grade twelve. These are PBL projects made by teachers for teachers! Learning Reviews – This website claims to connect kids to learning on the web. It really connects kids to awesome, engaging, rigorous, and relevant projects. It points to numerous websites on the internet that house some great PBL possibilities. Be sure to check out all of the subjects and grade levels. Talladega School Collection - Great collection of PBL resources, projects and ideas. Global Schoolhouse - Whether you’re just starting out, or ready for advanced levels — this tutorial will help you implement collaborative, project-based learning on the Internet. Project Foundry – Any school investigating PBL must take a look. It is the last of my Land Of PBL only because it does carry a cost. Project Foundry is an online learning management and student portfolio system that allows innovative educators to scale authentic, integrated, individualized learning. It really works well in a connected online environment. You will find that this fee-based system includes integration with online tools such as Google Apps and Moodle. Cases Online - A collection of great STEM related activities that will satisfy students at all levels. CIESE - The Center for Innovation in Engineering and Science Education has wonder units that are PBL based.